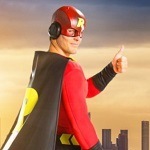 Rizk Casino has a unique style of superhero theme and with a wheel feature called Wheel of Rizk. 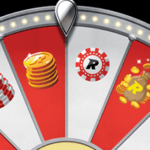 Active players are rewarded with spins on the wheel that can reward them with anything from a few extra spins to up to $25, or equal currency, in bonus money. 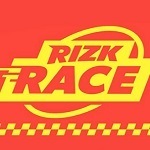 Though there is a field on the Wheel of Rizk, where players don’t win anything. If you’re interested in the wheel, Rizk is now giving new players an opportunity to spin Wheel of Rizk, when they register a new account. At least 10 free spins will be rewarded, but players can win up to $25. More about Wheel of Rizk can be read below. 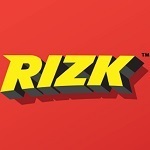 Like previously mentioned, players that sign-up an account at Rizk, are able to spin the Wheel of Rizk for free once. Here new players can get anything from 10 extra spins up to $25 in bonus money. Minimum deposit is €20 except for Zimpler, which is $20. Maximum deposit is €5000, except for paysafecard, witch is $200. When it comes to withdraw fees, Trustly is the only method that is free. Neteller, Paysafecard, Skrill and VISA will be charged $2,5 or equal currency. Maximum widhraw is $5000 for NETELLER, Skrill and VISA. €200 for Paysafecard and $50,000 for Trustly.